Keith Posley took over as Milwaukee Public Schools interim superintendent in May and was named permanent superintendent Monday, Oct. 9. WUWM's Emily Files reports on Keith Posley being named superintendent of MPS. Wisconsin’s largest school district has a new permanent superintendent. Keith Posley has been interim superintendent of Milwaukee Public Schools since May. At a special meeting Tuesday, the school board unanimously voted to negotiate a permanent contract. The MPS School Board is hiring from within, as Posley is long-time district employee. He’s been with MPS for 29 years, as a teacher and then administrator. He took over for former superintendent Darienne Driver after she left for another job in the spring. Since then, Posley has said repeatedly that he is interested in the permanent job. And the school board has praised him for his work for far. The board held multiple closed-door meetings over the past couple months to discuss Posley’s contract. At Tuesday’s meeting, the board talked in private for more than an hour before coming back into public session with a decision. The eight members voted unanimously to begin contract negotiations to keep Posley on the job. Posley says his goal is for all MPS students to be proficient in core subjects: reading, math and writing. It’ll be an uphill battle. Recently-released state exam results show just one in five MPS students is proficient in English and even fewer are proficient in math. As the new superintendent continues his work, the board may ask the public what they want in a school district leader. Board member Paula Phillips said she wanted to hold a public forum on the subject next month. As for Posley, he says he wants to stay in the permanent job for as long as the district will have him. There is a new leader making decisions that affect about 80,000 Milwaukee schoolchildren. 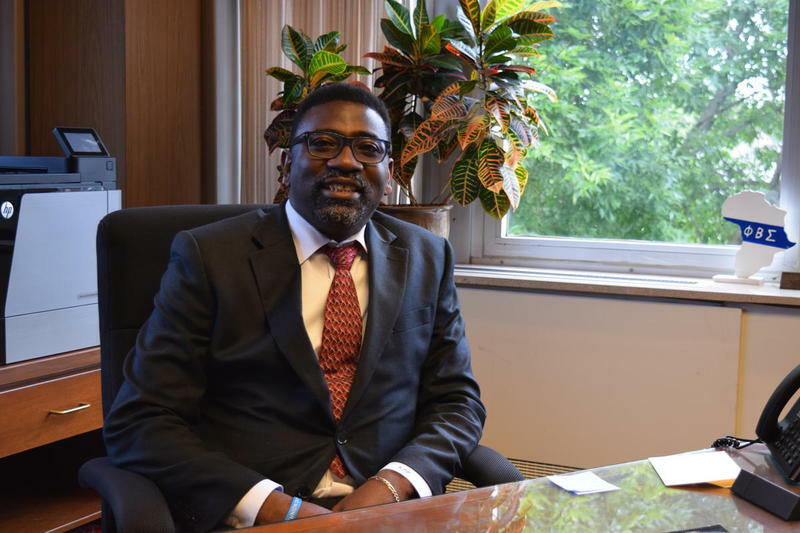 Keith Posley took over as Milwaukee Public Schools’ interim superintendent a few months ago. He wants to turn around low-achieving schools, slash chronic absenteeism and boost enrollment. And he’s not the only one with great expectations. Other Milwaukee education leaders have high hopes for Posley himself. “This work is all about children for me,” he said in an interview with WUWM.